I hope you all had a wonderful weekend! The weather was beautiful this weekend, so I got to spend a majority of it outside which always makes me happy. Yesterday I spent the morning drinking coffee and reading on the patio and then took my sweet golden-doodle, Max on a hike! Anyways, in collaboration with Ro and De, I'm showing you how I wore their cute pleather trimmed top for a fall night out with friends! I'm loving the asymmetrical sides and color that make it unique (it comes in grey plum too!) Plus its under $30! To give it a more fall look, I decided to wear it with some black jeggings and taupe suede booties, along with statement accessories. 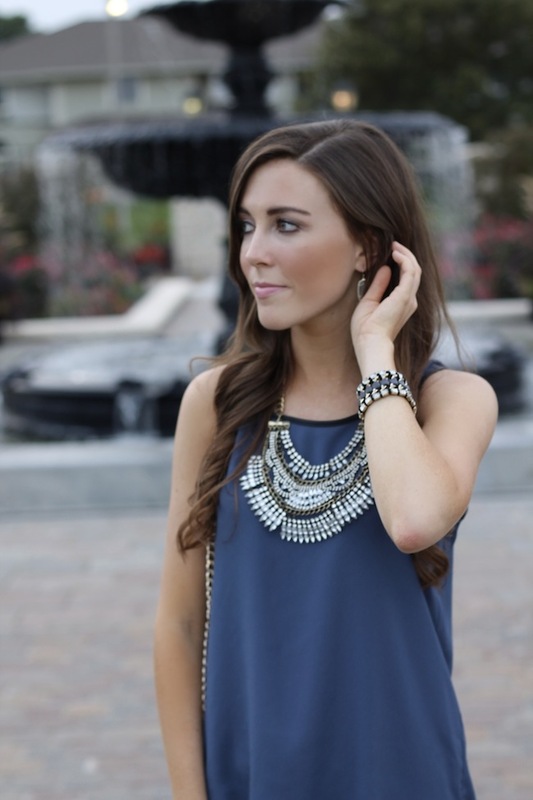 This statement necklace is from Accessory Jane! 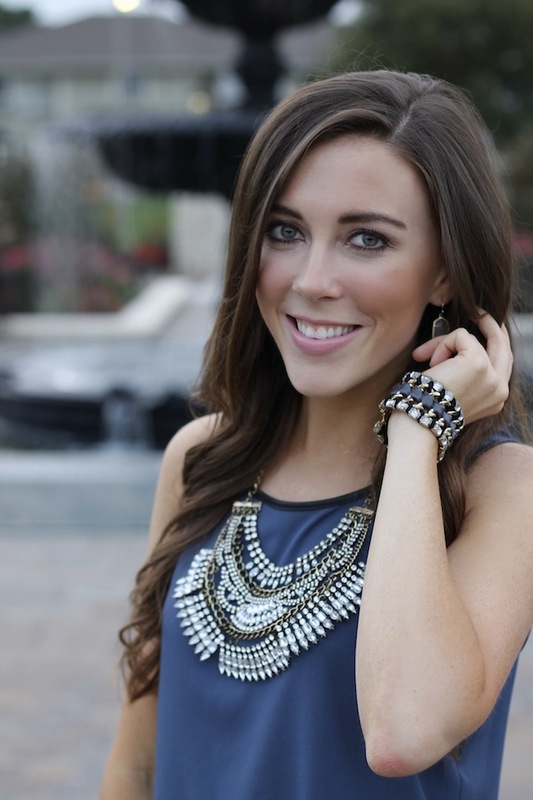 The owner is one of my favorite bloggers and she sells the prettiest & most affordable necklaces. At the moment, this necklace is sold out- but I found this similar one here.